Donating doesnt allow you to be an idiot! 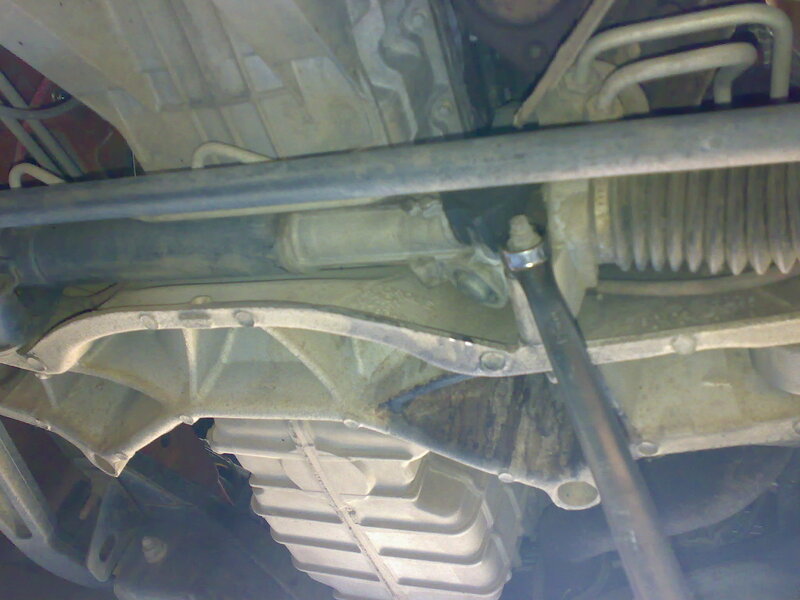 Firstly: Because the sway bar linkage was snapped on mine, the sway bar was sitting solid right against it so in order to do this job I had to jack the car up by the solid base near the sway bar therefore, lifting the sway bar away from the linkage and into the spot it should sit to join the new linkage up. 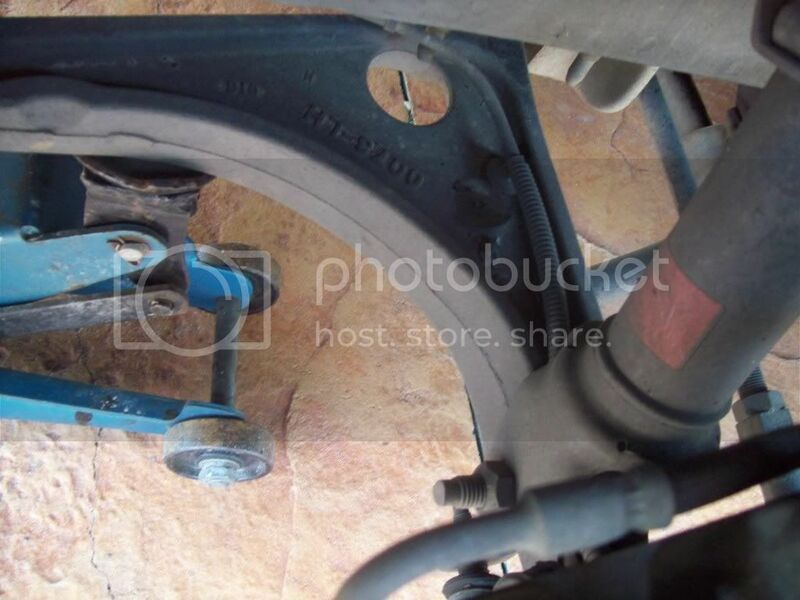 Once you have done this, You need to remove the wheel on the side it is so you can get to the top bolt of the linkage. 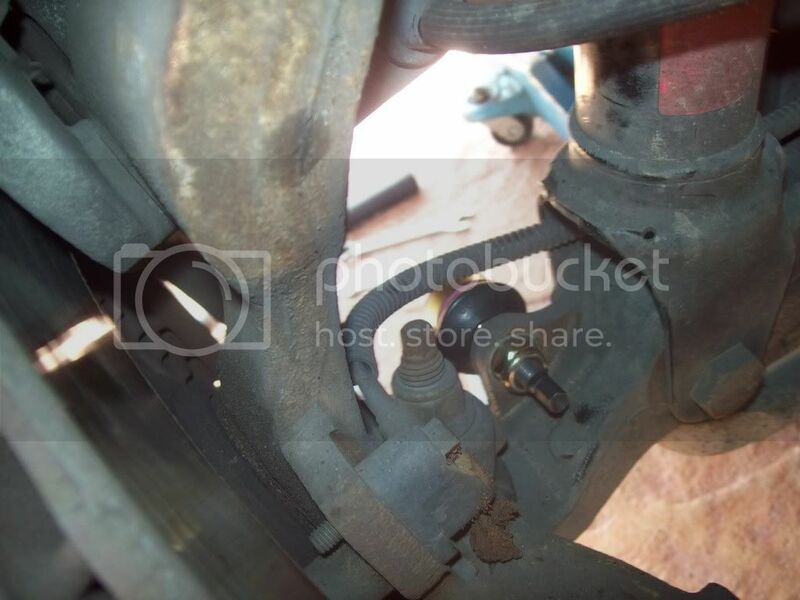 Then its time to undo the nuts to the linkage you are replacing. The one that I snapped, had size 14 nuts but I guess yours may differ depending on when it was made as the one I bought to replace it has size 17 nuts. One nut is on the inside of the wheel directly underneath the sway bar while the other nut is located on the back side of the break rotor. Depending on what tools you have, you may need to use an extension on the ratchet to get this bolt undone. 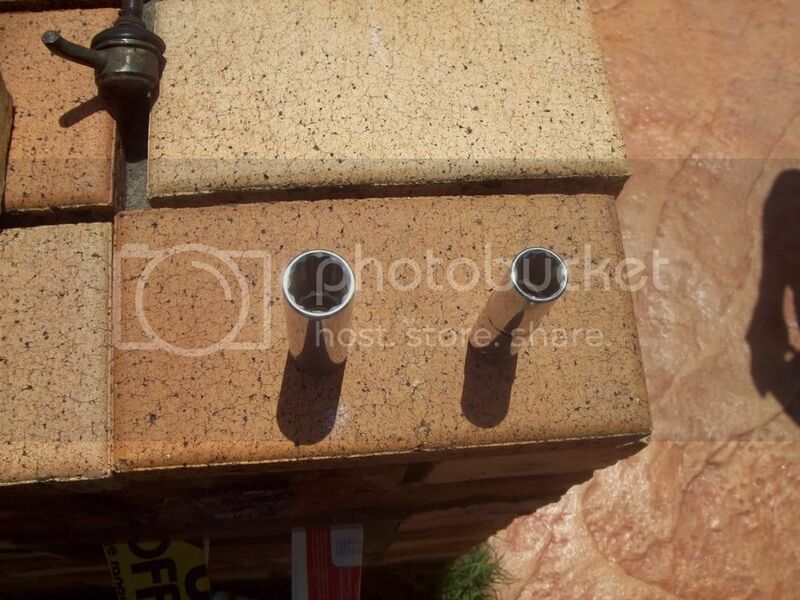 You can see in the pictures above where these bolts are at. Once undone you can remove the linkage. 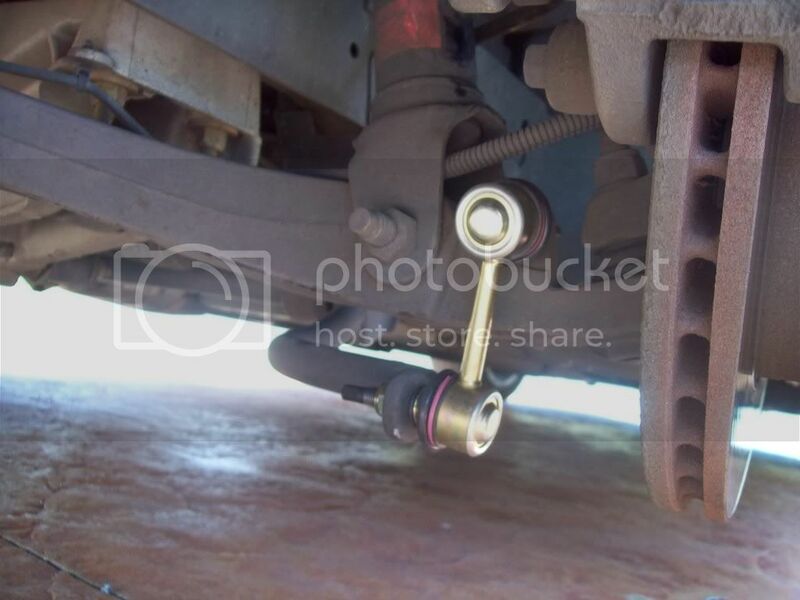 Get the new sway bar linkage and take the nuts off. 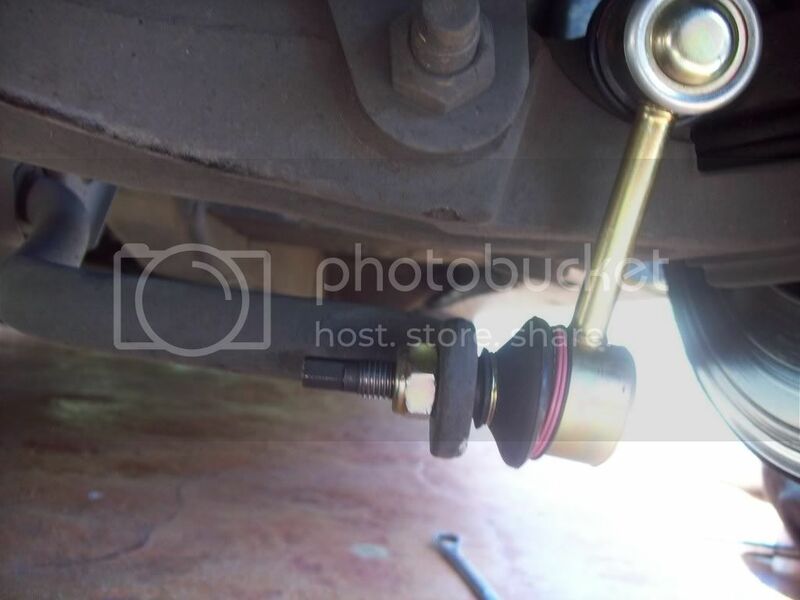 You have to move the ball joint at both ends around until they fit through both the holes. Do up both nuts and go back and tighten them right up. Replace wheel and lower car. Make sure wheel nights are tight and secure. 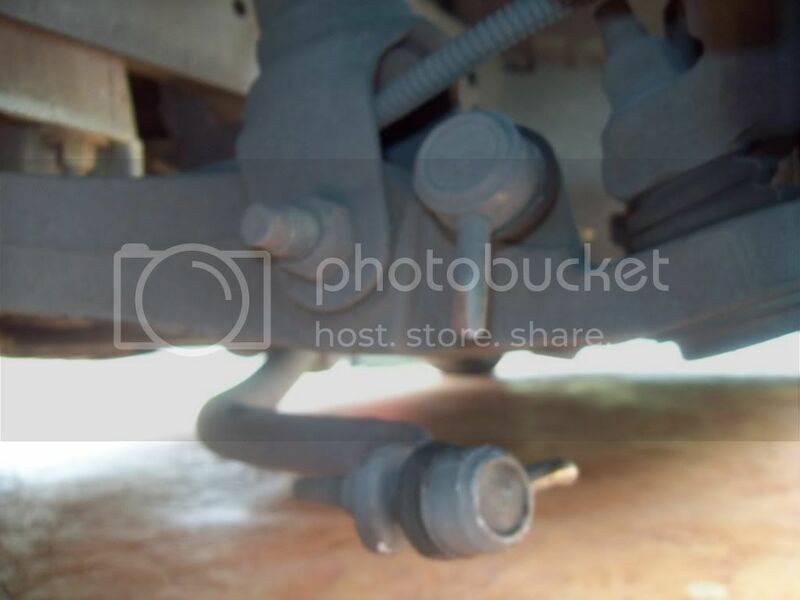 Bobs your uncle, fannys your aunt and you have just replaced your sway bar linkage! Nice write up... good pics. 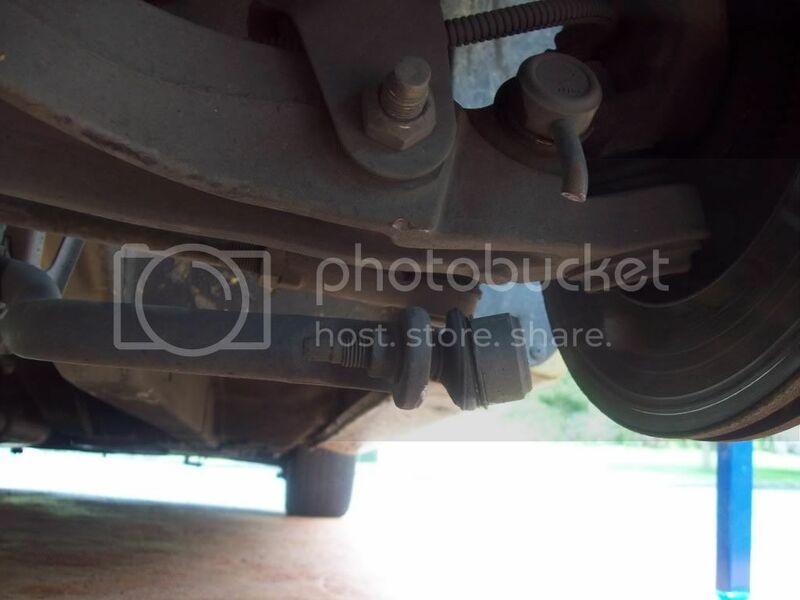 etm - when mine broke, I got a real bad knocking sound in front end, is that what urs is? what sorta creaking sound? high pitched? 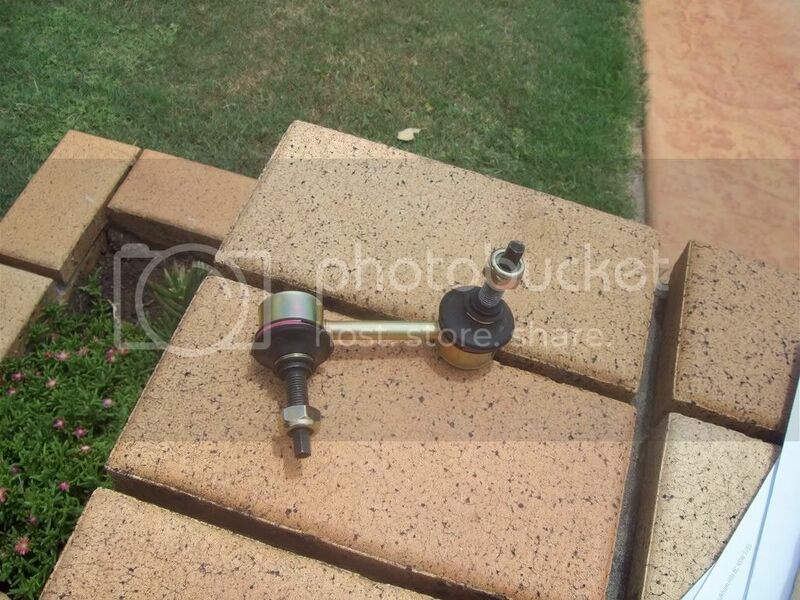 felix - not sure how I snapped it ay :S It started making the sound when I was down in canberra on a weekend trip, but the week b4 I started bottoming out in places I never usually would (stock ride height). You so need to get under that car with a can of degreaser, and then a few cans of WD40 to make it sparkle! Good sticky. Just had mine replaced at FRAUD, told them to look for the knock not to fix it. They are put it through as wty for me though. Ive had heavy creaking from my front end for over 12 months now which ford cat fix. I think it might be the swaybars but it only EVER does it in the wet, never the dry. every bump, speed hump and driveway creaks to sh!t each time its wet. 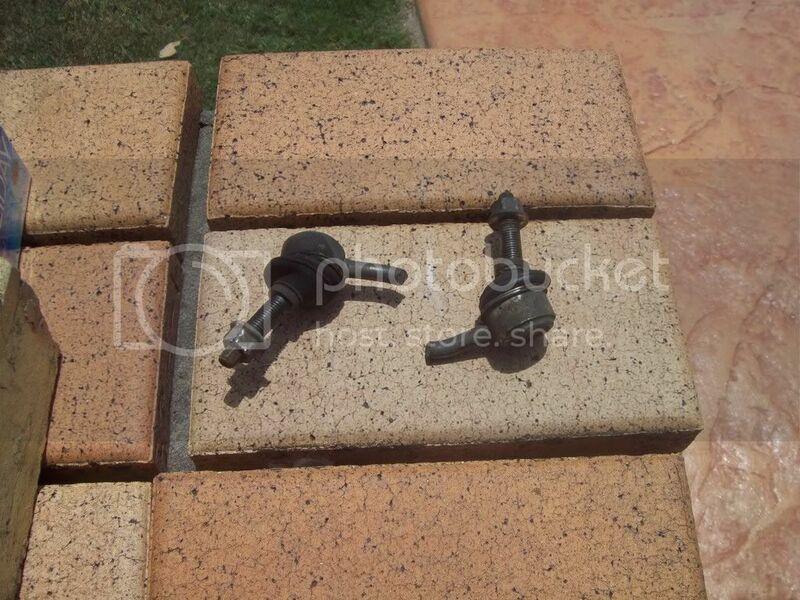 Ive just taken the bushes off and coated them in grease. I used a castrol, high tempreture and high compression resistent grease. Absolutely caked the stuff on inside and out. When I took them off, the bolts holding the bracket over the bushes were all fairly loose, thanks to the last time it was at Ford and the bushes themselves were dry as a bone. Now all I have to do is wait for it to rain and go for a spin. Fingers crossed and the 7 times it went into Ford they couldnt do it??????????? Looking at it , its bent, I think you hit something. But if you want to send it to me,I will tell you why it failed as Iam a metallurgist. Pm me if you like. I had the drivers side linkage snap on my car (BF), my brother had both his snap on his (BA) not at the same time, had my cousins drivers side snap on his (BA). seems common, any stronger aftermarket replacement parts? My swaybar itself snapped in two the other night, at the bend as I went into a driveway. An afterarket Whiteline one that I cant blame Ford for. Since the swaybar snapped in two pieces ive answered my own question from 18 months ago. The actual Swaybar snapped, IB?! Far out! yes, 27mm of metal. Happened at work where the pics are. Better on the driveway then the freeway in my view.